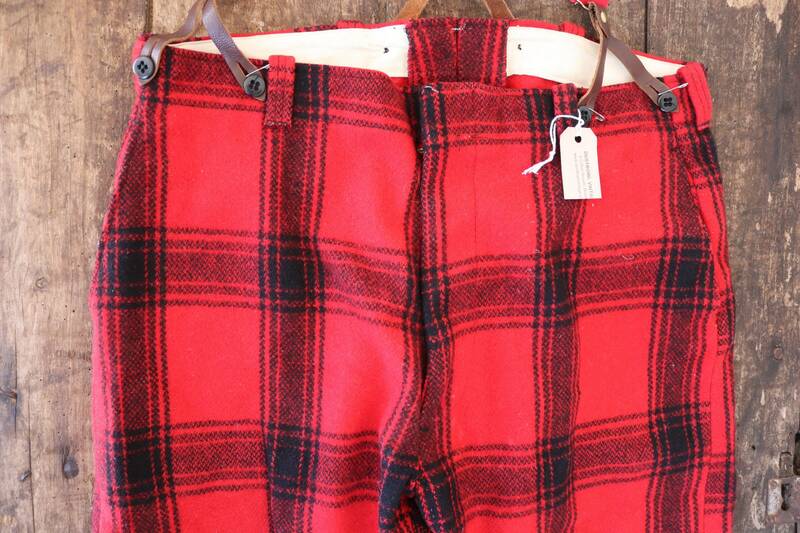 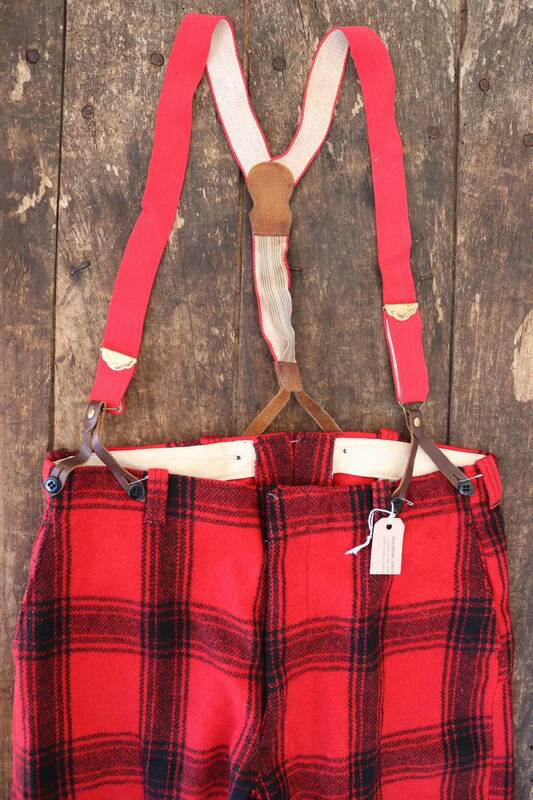 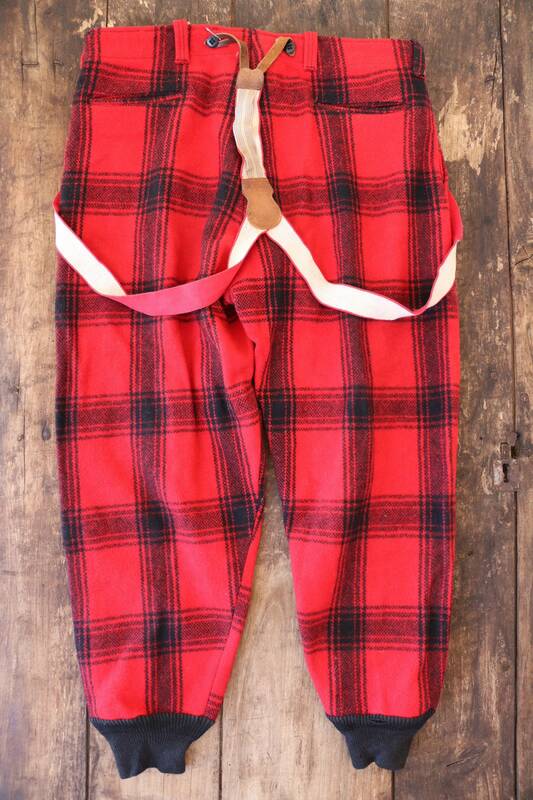 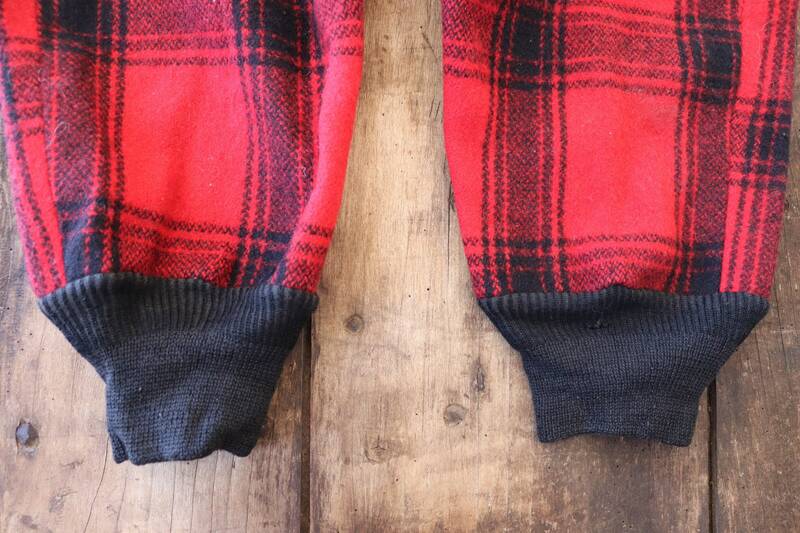 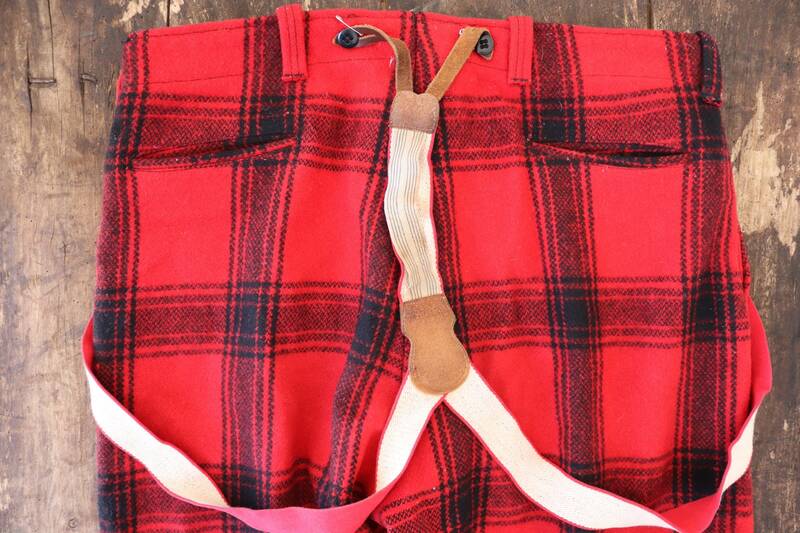 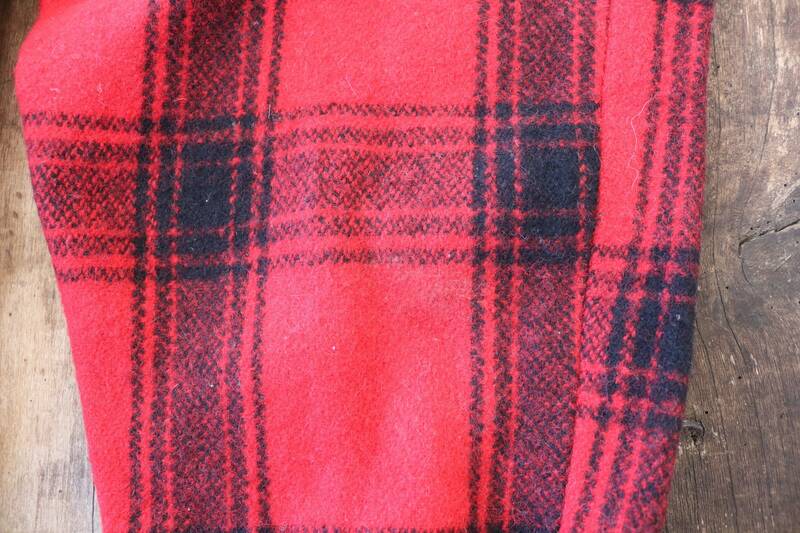 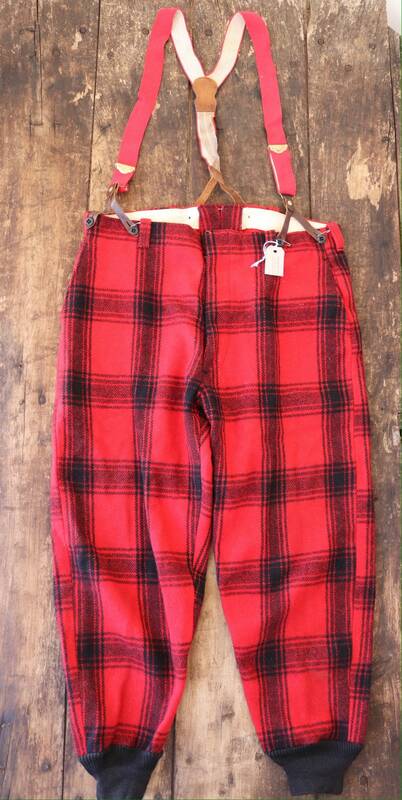 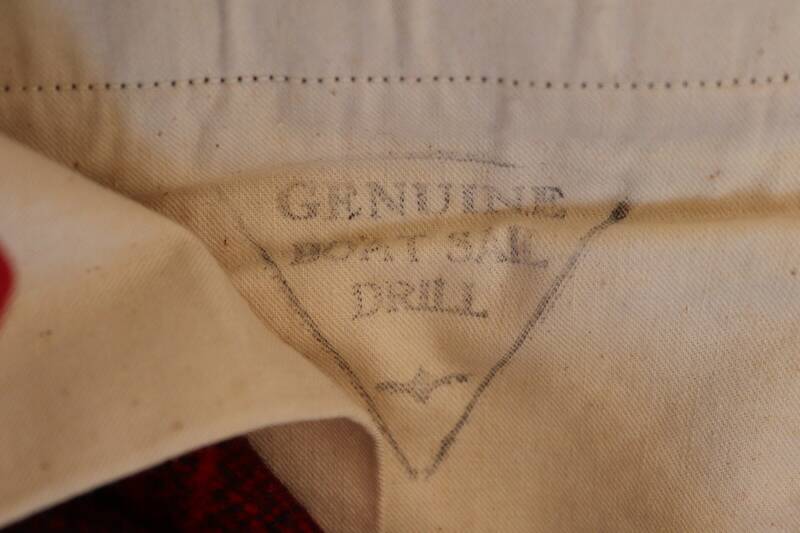 Vintage 1960s 60s Pine Creek red black checked plaid wool hunting trousers breeches suspender buttons 36" x 30"
A pair of thick red and black checked wool hunting trousers by Pine Creek. 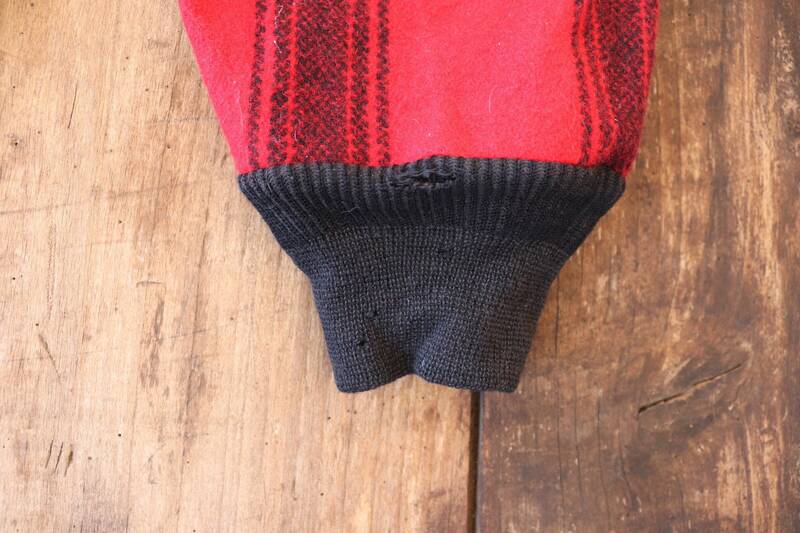 Noted flaws - a couple of holes in the elasticated ankle cuffs, a repair on the back of the left calf - please see photos. 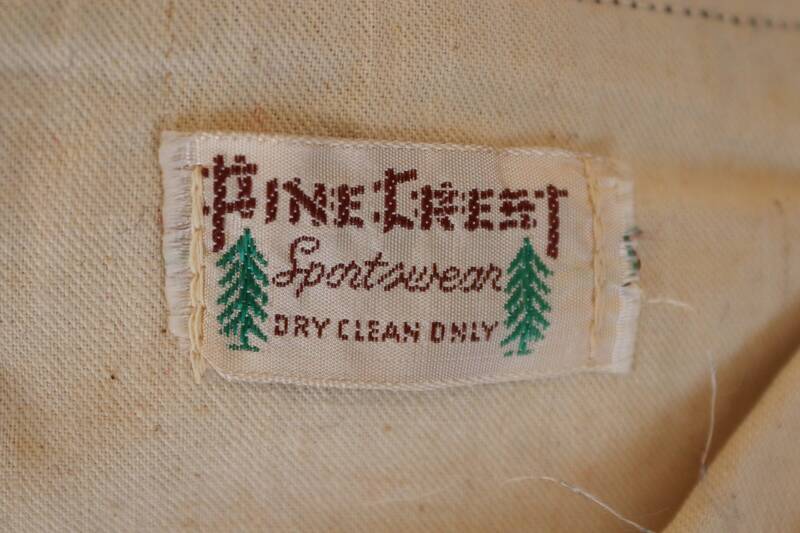 Great condition otherwise, zipper fly, suspended buttons with braces still attached, great quality.